It has come to my attention that one of the hideous partially shaved monkeys who blunder about your insignificant crumb of a world has taken it upon himself to write a book about me and my recent attempt at planet conquering. Never been a big reader myself (just pick up the nearest copy of Intergalactic Who’s Who and it will confirm that my principal hobbies are getting cross, shouting and disintegrating stuff) but I understand that books are terribly popular in your solar system, and it seems likely that you primates will find the tale of my recent visit to your stinking rock both entertaining and informative. So read it, sharpish, or I’ll set the Pandemonium Stoats of Exidrill on you! 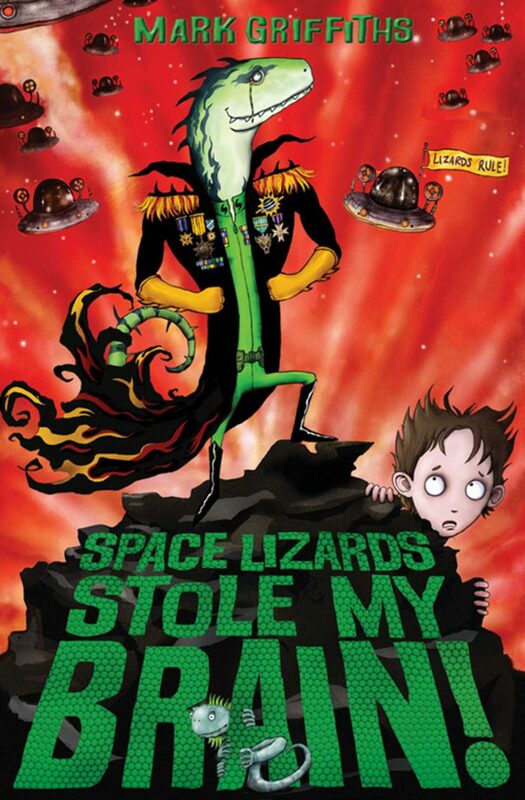 Reviews of Space Lizards Stole My Brain!